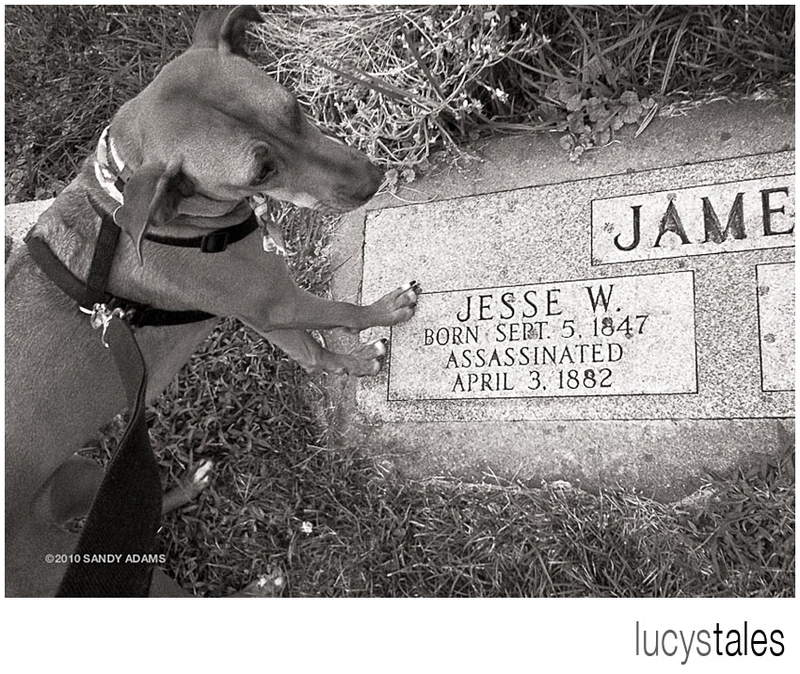 How many pups get to visit the grave of a real old west outlaw? 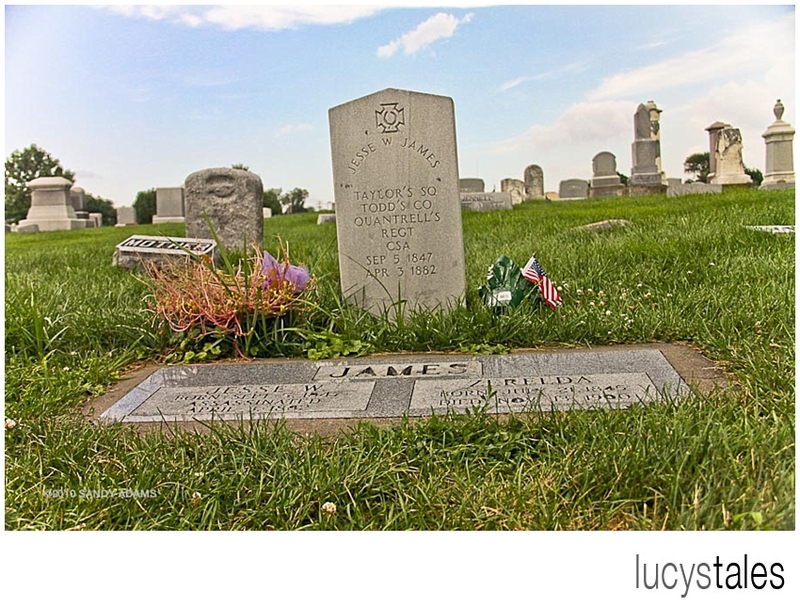 Jesse James is both folk hero and hated outlaw. He is a man of many talents for sure! We left Omaha early that morning heading east for St. Louis. Our path pretty much the opposite direction that so many settlers had driven a couple of hundred years prior. It was hot, probably close to 100 and very muggy. Mom packed up the truck but we had a couple of stops to make before heading out on the highway. The drive east took us down the eastern border of Nebraska and past a prominent Lewis and Clark expedition spot. Mom stopped to take some photos then we headed back out on the highway because dogs were not allowed on the property (I had to sit in the truck with the a/c running). The drive to Kansas City was pretty much flat land and big sky. As we moved into Missouri the clouds picked up with forecasted rain for St. Louis. Mom wanted to make the Jesse James site early so we would not be pulling into St. Louis after dark. We had already been on the road for 25 days now and although we had rested for several days in Omaha, the trip was still taking its toll on us. I slept most of the drive but woke up when the thunder was louder and closer. 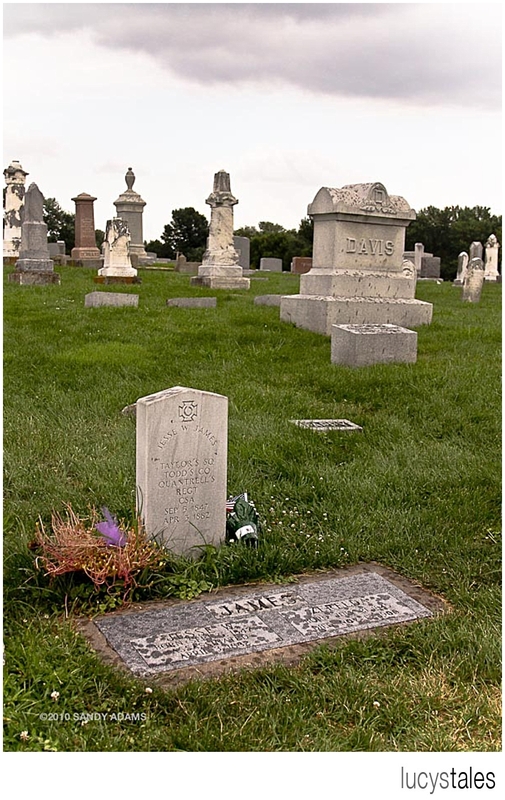 Mom found the cemetery easily but finding the grave was a little harder. She made me walk with her even though she knows I dislike wet grass. I made it even more difficult when it started raining and thundering – I dislike both! The cemetery was fairly small and right off the main street and kind of barren of trees. Finally she located the grass and then the photos began – she always had to take one of us together then some of me then some of the spot… seriously! 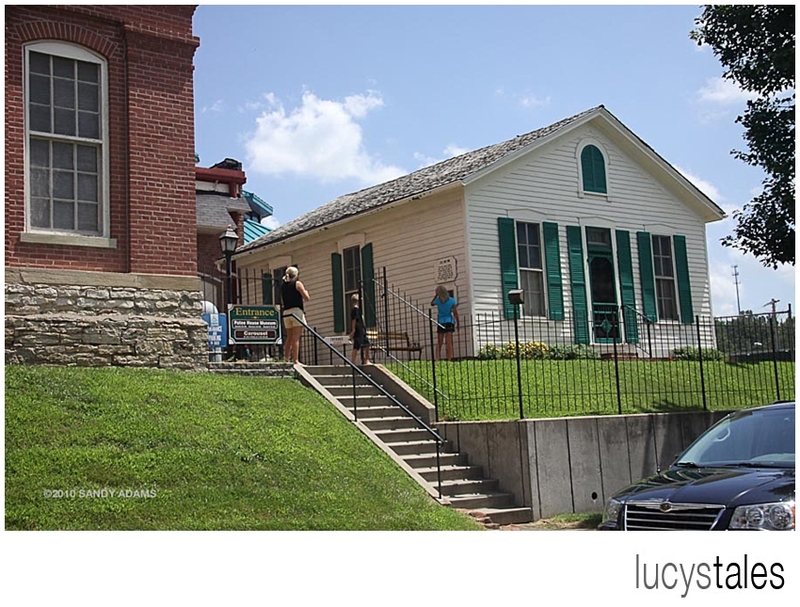 After we found the grave, we drove by Jesse’s house where he was killed (he was relocated from original spot to a new spot near the Pony Express Museum to attract more tourists) then hit the road heading for St. Louis. The brothers turned to crime after the war ended.